Just going through some old images and found this bad boy. The sickest oversized Michele Watch. 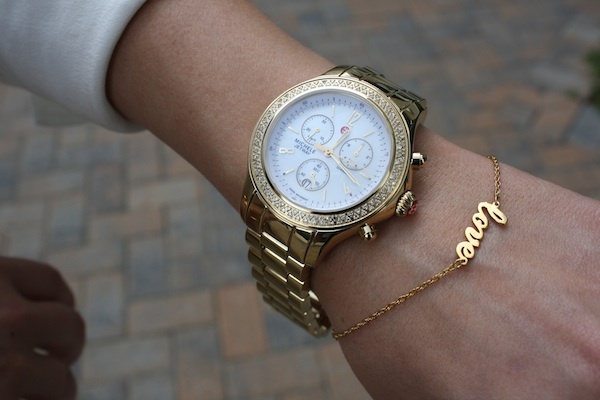 I thought the dainty Jennifer Zeuner bracelet was pretty apropos. Both from Charlotte's.